Kwikset has announced that its Kevo smart lock's touch-to-open technology will only work on iOS 10 if the Kevo app is open and visible on an iPhone's screen, due to a bug related to Bluetooth LE peripheral mode. 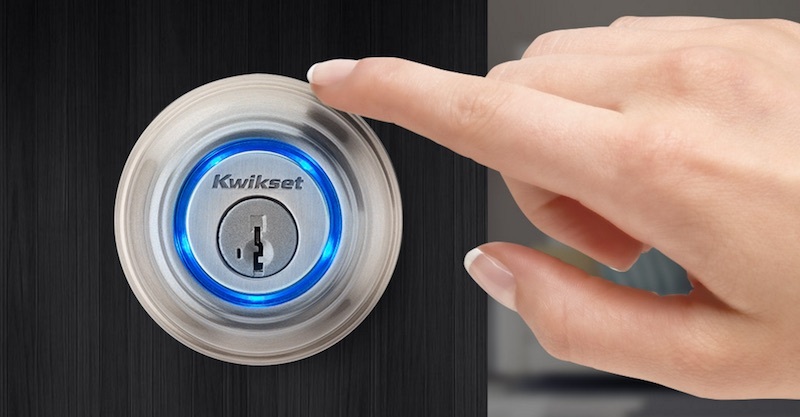 Kwikset said it is working closely with Apple to support a solution that will restore the functionality as quickly as possible. iOS 10 will be publicly released later today, so the fix will likely be included in a subsequent software update. Kwikset said the iOS 10 bug does not affect the security of Kevo smart locks, while the sending, receiving, and revoking of eKeys is also not affected. Update: Kwikset says iOS 10.0.2 addresses the bug. The update fully restores Touch-to-Open functionality. Wow, I sure hope the three people who bought this product see this article. They could upgrade to a standalone metal key. No batteries required and not impacted by software failure. My metal key is revolutionary! Kind of late in the game for them to let people know this. Certainly they had access these past many months. The keys to my home are where I draw the line on relying on software. I'll take my chances with an old fashioned key and an old fashioned lock thanks very much. They couldn't have figured this out before today? This seems pretty last minute, especially given that iOS 10 should be dropping at literally any minute now. At least it's not critical to getting into your house. The only problems I've had with my Schlage Sense with iOS 10 is that the HomeKit controller in Control Center doesn't recognize my deadbolt as being supported. I can still use the app and Siri to control it, as well as other Homekit apps, but it needs an update or something. My Ecobee 3 wasn't recognized either at first within Control Center, but at some point a few days ago I think it got an OTA update because it started showing up. So far the biggest iOS 10 annoyance for me is the keyboard suggestions can't be easily hidden and shown. So I've just turned it off in the settings. I think this is going to annoy a lot of people today. Also on dark keyboards the keyboard suggestions are sometimes an illegible blue. Oh and a lot of third party widgets are still dark colored, so they clash with everything else. Personally I like the dark, and I'm looking forward to the inclusion of a dark mode, but above all else I value consistency. People are also going to be annoyed with message threading in email. I was really confused at first as I had completely forgotten about that feature. Could be equally Apple's fault. I filed a simple UI corruption bug back in public beta 2. The back button disappears and you get stuck in a contact and you have to force close Mail to get out. Replicated over two devices. It's still there in GM. Paid writers, and their editors, should know when to use adverbs: quickly, not quick. Would hurt sales for too long.